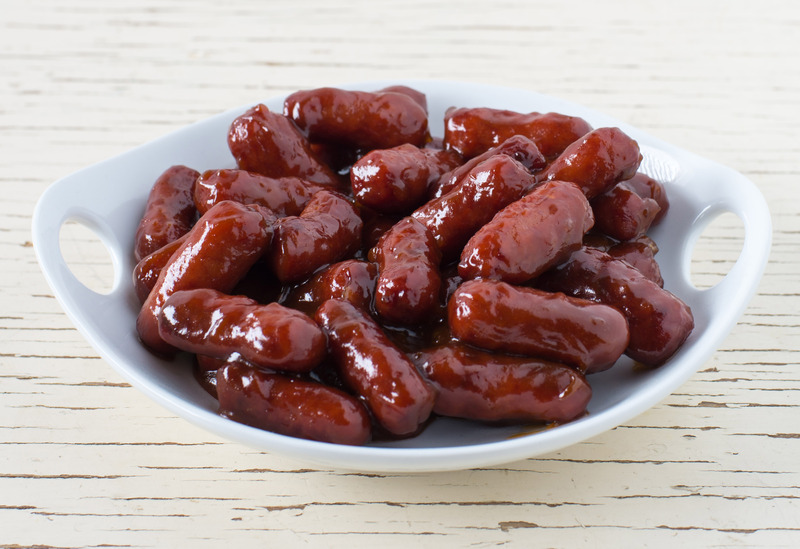 Plochman's Sweet & Savory Glazed Cocktail Sausages contain smoked cocktail sausages, Deli Dijon Mustard, apricot preserves, ketchup, and garlic powder. 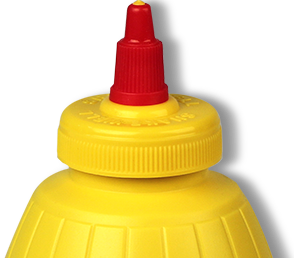 Whisk together mustard, preserves, ketchup and garlic powder. Place cocktail sausages in a saucepan over medium heat. Pour mustard mixture over sausages and heat until hot, stirring occasionally. Remove from heat and serve on toothpicks. Try It Another Way Pour whisked mustard mixture and cocktail sausages into a slow cooker. Cook on high for 2–3 hours, or until cocktail sausages are warmed through.